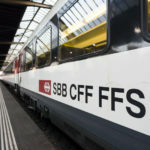 Swiss Rail has announced it will experiment with smoking restrictions at various train stations in response to customer complaints about second-hand smoke and cigarette butts on platforms impacting on comfort. The tests will be run during 2018 in 5 or 6 stations. A document obtained by the newspaper NZZ listed the stations involved in the test. 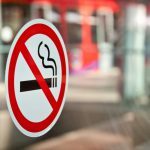 Basel, Nyon and Zurich Stadelhofen will be completely non-smoking, restricted smoking zones will be trialled at Bellinzone, and special smoking lounges tested at Neuchâtel. The problem of discarded cigarette butts will be monitored across the stations. The company says that no decision has been taken, emphasising that no decision on a blanket ban in all stations has been made. It appears any change will occur from the end of 2018. The test will be announced publicly on 21 November 2017. Last week Le News published an article on a call to ban outdoor smoking in Ticino. Reader response on social media to the idea was overwhelmingly in favour of it. A Facebook poll run by the newspaper Le Matin showed 57% in favour of a smoking ban in public spaces. Another Facebook poll run by the newspaper, asking whether smoke-free stations is a good idea, gives it a clear thumbs-up. 61% were in favour, 6% undecided and 33% against. 33% is not far from the percentage of people smoking in Switzerland. In 2012, 32% of men and 24% of women smoked. 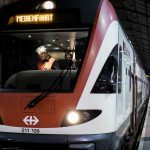 It might be that Swiss Rail is responding to public opinion. With bans already in place in several other European countries, the public has examples to point to. And, after all, everyone breathes but only a minority smokes. 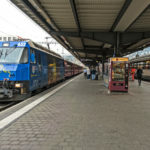 Those with something to say on smoking in Swiss Rail stations or on platforms can offer feedback via the company’s website under the section praise and criticism.